Oleksiy Mushak says land market will drive the nail into the coffin of the Soviet Union. 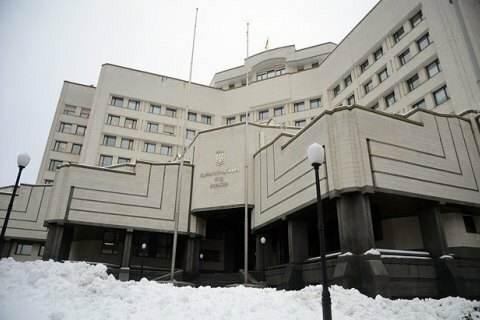 A group of Ukrainian lawmakers sent on Friday, 17 February a submission to the Constitutional Court to recognize the unconstitutional the moratorium on sale of agricultural land which is in effect in Ukraine, Espresso TV reported. He believes that the introduction of land market should be not just a step toward the further civil liberties. "It will drive the nail into the coffin of the Soviet Union," he said. He hopes the move will help to shift the debate from the endless "moratorium – no moratorium" deadlock to a broad discussion of what land market Ukraine should have. The moratorium on sale of agricultural land in Ukraine was introduced as a temporarily policy, but was repeatedly extended because Ukraine is unable to decide on the shape of the national land market. The lifting of the land sale moratorium is a central requirement of the International Monetary Fund and is supported by leading Ukrainian economists.